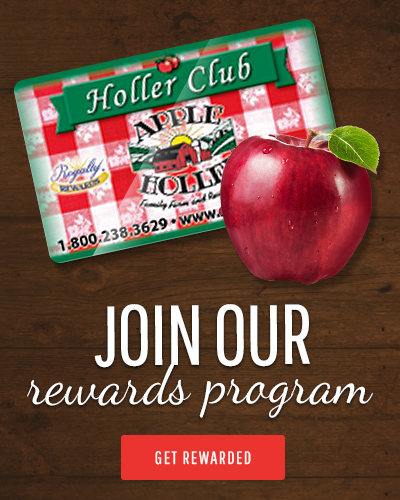 If you have visited Apple Holler Farm Park recently, you will have seen and perhaps taken part in the Johnny Appleseed History Walk. 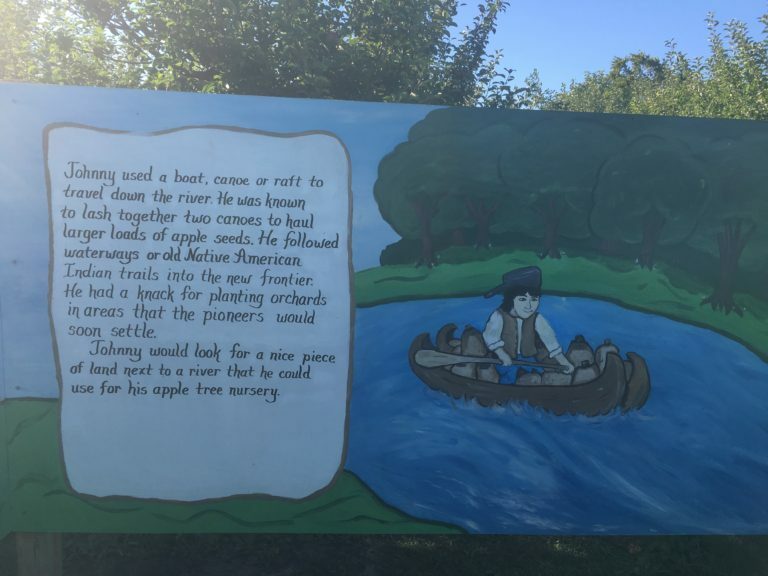 We thought we would go a bit deeper into The Legend of Johnny Appleseed and give you a peek into who the real man was. If you ask someone to describe Johnny Appleseed and his legacy, chances are good that you will hear the following “ he was a man who wore tattered clothing, wore a tin pot on his head, skipped through fields, sprinkling apple seeds almost like they were fairy dust, leaving behind in his wake fields of apple trees. Let’s begin with his real name, which was John Chapman. John was born in Massachusetts on September 26, 1774. He grew up during the midst of the Revolutionary War; in fact his father served as a minuteman at the Battle of Bunker Hill and helped construct the defenses of New York again the British with George Washington. His father would go on to survive the war (John’s mother had died when he was only 2 years old) and return home in 1780, where he began to teach his son the trade of farming. By the early 1800’s, John had developed into quite a proficient orchardist and nurseryman and began to work on his own. In the early 1800’s land was relatively easy to own, especially with the passage of the 1801 Act, which let settlers lay claim to the land they had settled on, by planting apple or pear trees. In fact, a claim could be made by simply planting 50 apple trees. Now Johnny Appleseed may be depicted in books and in cartoons as barefoot wanderer who seems to just skip through life without a care planting apple seeds, but he was quite the businessman. In fact, during his travels through Pennsylvania, Ohio and Illinois, John would plant enough seeds to begin an orchard and then sell that orchard to the settlers once the trees had grown plentiful, which meant that the settlers could then lay claim to the land they were on. 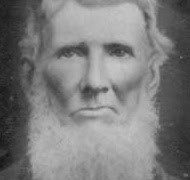 In reality, instead of being a poor wanderer, with no home to call his own, he was in reality a land baron, especially since he traveled about 100,000 miles through both the Midwest and Prairie. When John dies at the age of 70, he still owned more than 1200 acres. However, if settlers and others were low on cash, John would be willing to barter goods in exchange for his seedlings. At times, he would even barter for old clothing, hence the depictions of him wearing old and torn clothing. Actually, there were times when not only did he give away his seedlings to folks who couldn’t afford them; he also gave them a gift of cash. Another legend that we simply take as fact is one of Johnny Appleseed planting apple trees and then feasting on his bounty of apples. Unfortunately, while this presents a nice warm fuzzy feeling, it isn’t quite true. The apples that John Chapman planted were small and tart “spitters”… named for what you would do if you happened to bite into one. They may not have been the perfect fresh eating apple, but they were the perfect apples for hard cider. Unlike today, the water of the very early 1800’s was filled with many types of bacteria and microbes that made most of the water unfit to drink. As a result many folks drank apple cider instead; usually this was hard cider. In fact according to Michael Pollan, in The Botany of Desire, up until Prohibition, an apple grown in America was far less likely to be eaten than to wind up in a barrel of cider. In rural areas, cider took the place of not only wine and beer but of coffee and tea, juice, and even water. Since apples that are grafted are the same as the parent tree, they don’t change. But by forgoing grafting, Johnny created the conditions for apple trees to adapt and thrive in their new world home. Remember the 1801 Act mentioned above? That may have been a great Act for folks who settled the land, however, it wasn’t a great Act for Native Americans; there were many clashes between tribes and settlers. Native Americans didn’t take kindly to settlers; however, John managed to win them over because, in addition to planting apples, he planted medicinal plants and herbs, such as mullein, motherwort, mayweed and pennyroyal, and more. By doing this, he was able to foster a friendship as well as admiration from Native Americans. One of the reasons that John was so familiar with the medicinal plants mentioned above was because he understood how to derive treatments from using natural ingredients because he felt such a close connection to the earth and nature. It will come as no surprise then to learn that John was actually a vegetarian, who couldn’t the thought of causing pain to any animal or insect. One story depicts his sadness when mosquitoes flew into his evening fire: “God forbid that I should build a fire for my comfort, that should be the means of destroying any of his creatures,” he reportedly said. John was a member of the New Church, a Christian denomination that became established in the late 18th century (this church is also referred to as the Swedenborg church, and there are still branches today). One of the tenets of this doctrine was that nature and God are intertwined, so in addition to planting apples, and medicinal herbs, John also planted these teachings wherever he planted his seeds. John never married and as mentioned above, he owned 1,200 acres of tree nurseries, along with several other plots of land when he dies. His estate and holdings passed on to his sister. Chances are quite good that his holdings could have been much larger if he had recorded all of his orchards that he established (he didn’t). Unfortunately for his sister, much of what remained had to be sold off to pay back taxes. 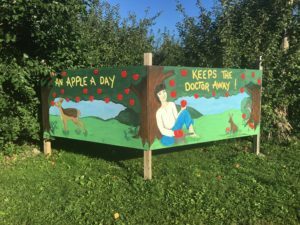 There are still a couple of small apple orchards in Maine that are maintained by John’s great, great, great, great nephew (also named John Chapman). At least one of those trees is said to be descended from his forebear’s own trees. Appreciative of his ancestor’s legacy, the modern-day Chapman has donated new trees from the Appleseed collection several times, most notably one he planted at Unity College in 2012. And now you know a bit about the man behind the legend.